April 10, 2012 , 2 Comments on Liebster Blog Award! Well, whadya know! I’ve been given an award! I would like to thank the lovely Laura Mae of Lilacs & Lace for including me in this wonderful “pay-it-forward” style of blog award. I really like this type of award because it encourages a sense of community and sharing with those who inspire us. -Thank your Liebster Blog Award presenter on your blog. -Link back to the blogger who presented the award to you. -Let them know they have been chosen by leaving a comment. Past Life – a delightful little vintage blog full of unique finds. Some Kind of Wonderful – this gal has some wonderful vintage home items I’d love to have in my home one day! Suburban Retro – If you want some style inspiration, GO HERE! This gal has fabulous clothes! 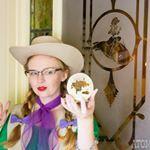 V is for Vintage – This gal shares and participates in loads of wonderful vintage events! And shares them all with you! The Vintage Loving Mom – Always a good place to find delightful vintage inspiration and giveaways! WOW! Congrats on being nominated for this award. My blog Marti Ink was just nominated and decided to go online to find out more info about the award. Now I have the same job that you did in finding sites with less than 200 subscribers (YIKES!). Congrats again, and may your subscribers continue to increase. I apologize for the extreme belatedness, but… Congratulations on receiving the Liebster Blog Award! And thanks bunches for passing the award on to my blog!